Metal buildings and carports are a popular way to protect your car, truck, RV, and farm equipment from the weather. Our metal carports come in many different sizes and styles. They are available in regular style carport (Barn Roof Carport), Boxed Eave style carport (A-Frame Roof Carport), and Vertical Roof Carport (A-Frame with Vertical Roof which helps the rain and debris slide off). Cover your valuable items the easy way with a metal carport. 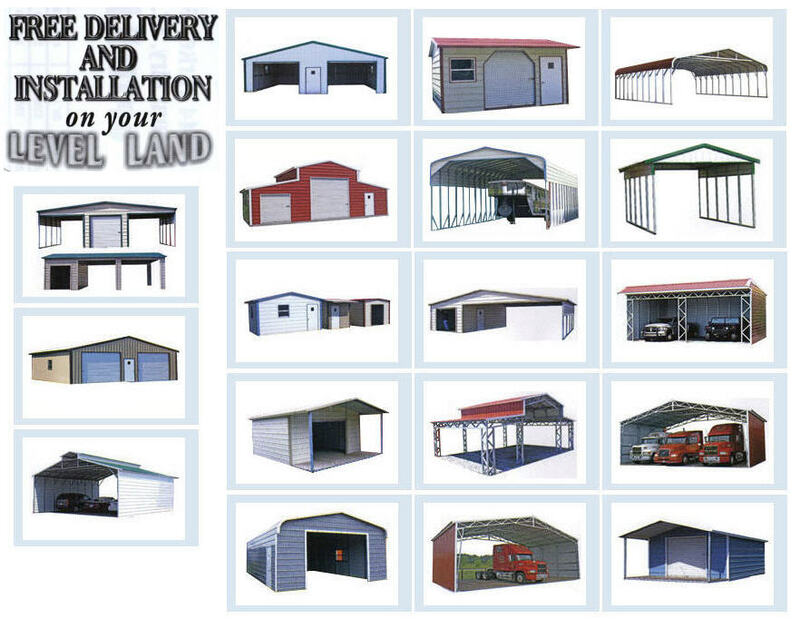 We are your local metal building dealer that can save you time and money.